If you think our cities are polluted then you have no idea about our Oceans. Our oceans are the most polluted with all the runoff from the cities and towns accumulating in rivers and finally being carried to the oceans. The oceans are so filthy that human beings as a single species have altered the quality of ocean life as we know it. Oceanic pollution is not restricted to just floating wastes, it also collects in ocean gyres. The problem with oceanic pollution is that the sea breaks down the plastic into micro plastic. This is far more dangerous for sea life than just plastic as it is a foreign object. This even indirectly affects the human population because these plastics and chemicals can enter the food chain through fish and eventually poison us. 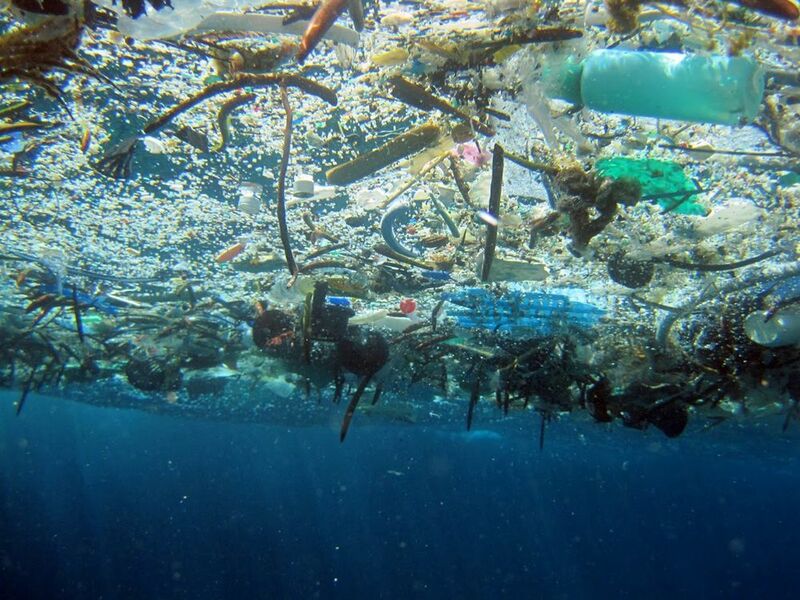 Did you know there is a huge mound of garbage just floating through the oceans called the Great Pacific Garbage Patch where plastics are collecting in alarming concentrations? 1.1 Where is the missing plastic? This is more than just a problem of simply tackling the pollution as this has huge effects on the ocean life. Scientists are saying that oceanic pollution might have even changed the course of evolution of some species in the planet. Scientists now think that places like the Garbage Patch where large concentrations of plastic and chemicals are present, may have new life. There may have evolved new species from this new environment. This is how much humanity has affected life on earth. A silver lining to this problem is that when scientists tried to measure the amount of plastic floating around in the oceans, the figure actually came short of the expected quantity. 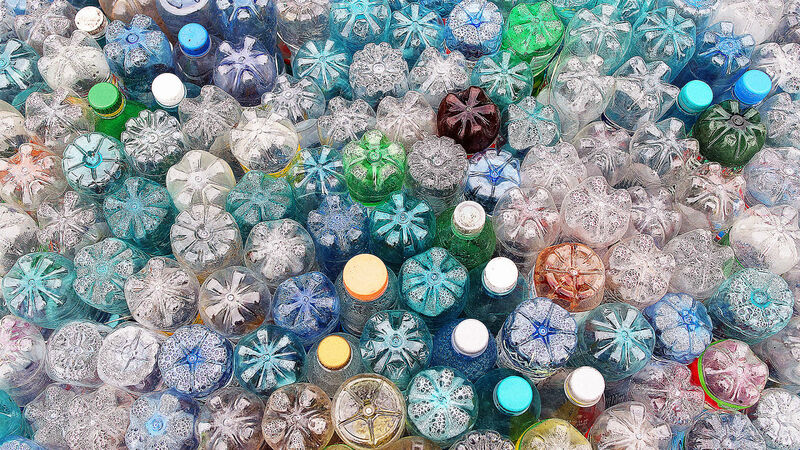 However, this may not exactly be a silver lining as these figures do not add up to the rate of production of plastic and the rate at which it decomposes. According to prediction models there may be hundreds and thousands of tons of plastic that is floating around without being detected. However, just because we cannot detect the plastic does not mean it isn’t there. The waste is there but we just cant find it. This again proves the vastness of the ocean and the diversity of life that we humans are destroying one handedly. Where is the missing plastic? There are several possibilities as to where the missing waste is and each one is more frightening than the rest. The first possibility is that these thousands of tons of plastic have all been broken down into something that is very small and not easily detectable. This is bad because it can enter the food chain easily and cause more severe consequences. This possibility will make the waste even harder to detect and clean up as it is microscopic. Another possibility is that there may be several new garbage patches that have been formed. There may be garbage patches in the Arctic for all we know. The waste may have also sunk to the ocean floor over time. This is where the possibility of a toxic environment comes in. This will directly affect the natural order of things. Herein comes the chance of new organisms and microbes evolving around these garbage rich areas. They may even have evolved to eat the plastic in the patches and convert it into energy for their survival. Again, while the existence of plastic-eating microbes might seem like a natural solution to the plastic problem, reality is probably far more complicated than that. It could be toxic at higher levels in the food chain, where animals (like humans) can’t evolve quite so fast. Adding to this concern, plastics also contain various toxic additives that could get released during the process of biodegrading. “We need to look at prevention and reduction at the start,” warned Amaral-Zettler.